Check this page regularly for information about happenings and announcements at the A+ Total Care clinic. Here we’ll share about changes in our business hours, upcoming events, special service offerings and promotions and other newsworthy announcements you’ll want to know. 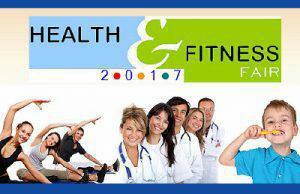 We invite you to attend the upcoming Health & Fitness Fair on Saturday, March 9th, from 9am to 3pm! Please contact us for more details. To better serve our local community, A+ Family Care, the primary care division of A+ Total Care, will soon be welcoming a new full-time family practice provider to the A+ Team. 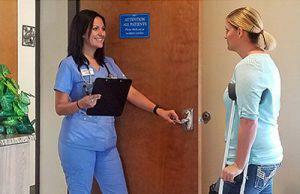 Beginning in October, we will be accepting new primary care customers. Check back with our website for further details about our new team member and this exciting addition to our clinic. A+ is now offering a Quick Visit Kenalog treatment to our established Kenalog customers for the self-pay price of just $60* without having to see your provider or wait in line at our clinic. A Kenalog shot can provide a significant reduction of inflammation caused by seasonal allergies, and may provide fast and long-lasting relief for allergy sufferers. If you’re an existing or new A+ customer and you’d like to learn more about whether this treatment may be right for you, contact A+ Total Care at 775-777-7587 and ask about our Quick Visit Kenalog. Download and print this limited-time promotional offer coupon to bring with you and present it at the registration desk when you visit our clinic. * A+ Quick Visit Kenalog promotional pricing is valid only for self-paying customers age 18 or older who’ve previously had a Kenalog treatment at our clinic. Insurance will not be billed. This offer is non-transferrable and does not qualify for WeCare membership discounts. Offer is valid through 12.31.18.
ach month, the Elko Area Chamber holds their Business After Hours (BAH) event at various chamber member businesses throughout Elko. 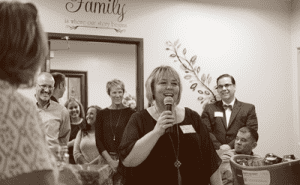 On May 17th, from 5:30pm – 7pm, BAH will be co-hosted by A+ Total Care and High Desert Imaging at their joint location at 976 Mountain City Highway. This free event provides an opportunity for local businesses and community residents to come together for networking, food, and raffles. We hope you’ll join us! 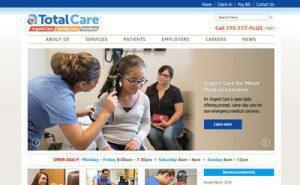 Welcome to the new A+ Total Care website! We’ve worked hard to bring you an informative and convenient user experience. We hope to soon be adding functionalities like on-line patient, employer, and job application form completion and submission for some of our forms along with other options. While visiting our site, if you should encounter a link not working or other issues in your browsing, please use our website contact form to let us know. A+ Total Care will again be attending this health-focused Saturday at booth numbers #180 and #185. Visitors to our booth can learn about the WeCare Medical Discount Program for A+ Urgent Care services, A+ OccMed Care for businesses and more. Come see us for some awesome giveaways, enter to win our raffle basket, get your blood pressure checked, and meet Nurse Boo Boo Bug. We’ll be changing our weekend business hours starting August 5th. Our Saturday hours of 9am-4pm will now be 8am-4pm. Sunday hours will be changing from 9am-4pm to 8am-12 pm. A+ Total Care has attended this event since opening in 2014. Visitors stopped by the A+ booth to learn about our integrated health services like urgent care, primary care, occupational medicine and specialty services. 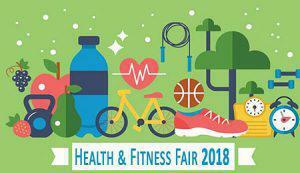 At the event, free blood pressure checks were given and raffles to win hourly prizes in including a health and fitness gift basket were held. And of course, our friendly A+ Mascot, Nurse Boo Boo Bug, was there to take photos with the kids. If you have a questions regarding an announcement we’ve posted about business hours, an upcoming event, a service we offer, or anything else related to A+ Total Care, give us a call at 775-777-7587 or reach us through our online contact form.